Let's get the bad news out of the way first. It doesn't feel like the U.S. economy is firing on all cylinders. Wage growth remains sluggish. The stock market continues to be volatile. Target, Macy's and many other big retailers are struggling — and the recent spike in oil prices could further dent consumer spending. But there is one part of the economy that is undeniably strong — the housing market. New home sales hit their highest level since 2008 in April. Yes, 2008. The year the housing market, Wall Street and the entire U.S. economy went to you know what in a hand basket. And home prices hit a record high. 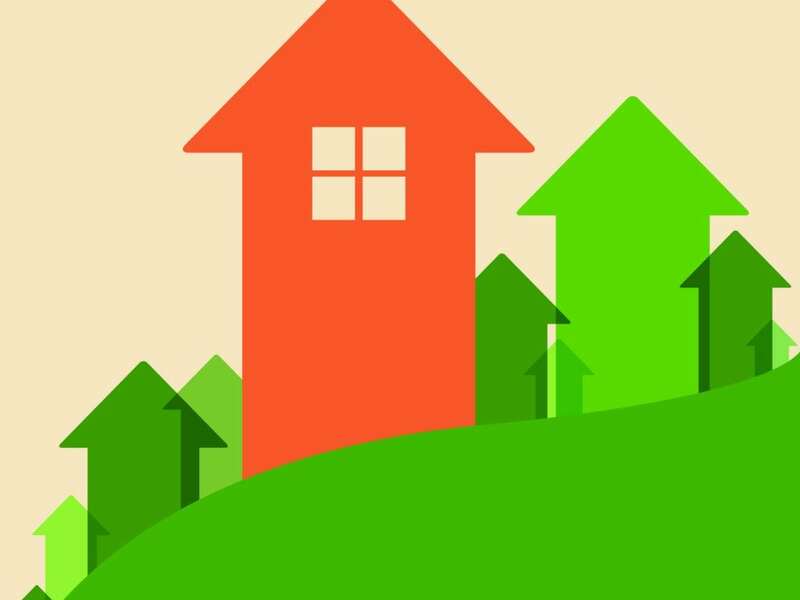 Big homebuilder stocks Pulte (PHM) and KB Home (KBH) both rallied on the home sales news. And they are beating the broader market this year. Shares of home price tracker Zillow (Z) — aka the web site you go to voyeuristically see what your neighbor's home might be worth — are up more than 20% this year as well. Another sign of housing strength? Home Depot (HD) and Lowe's (LOW) both reported strong earnings last week. They are bright spots in an otherwise lousy quarter for big retailers. But retail sales may soon take a turn for the better — thanks to the housing market rebound. Thomas Wilson, senior investment manager at Brinker Capital, said that he expects consumers to start spending more — partly due to the wealth effect from a rebound in housing sales and home prices. Wilson said that the recent upbeat guidance from luxury home builder Toll Brothers (TOL) is a good sign as well. “There is a trickle-up effect. More first-time buyers are entering the market, which makes it easier for people to sell,” he said. Wilson said that it's premature to start worrying about whether the recent housing rebound could lead to another real estate bubble like the one we had in the mid-2000s that helped lead to the subprime mortgage crisis and Great Recession. It's worth remembering that the cause of the most recent downturn is rarely what creates the next one. The recession before the one in 2008 was largely a byproduct of a tech bubble in 2000 — not froth in the housing market. “Normal recessions are caused by excess somewhere in the financial system,” said Eric Marshall, manager of the Hodges Small Cap fund. That level of excess doesn't seem to exist in the housing market. In fact, some areas of the country are still struggling to recover from the depths of the 2008 downturn. The huge pullback in oil prices exacerbated housing weakness in some markets as well. But if the recovery in the energy markets last, then home sales and prices in places like Texas, Louisiana and North Dakota could bounce back too. Along those lines, Marshall owns Plano-based LegacyTexas Financial Group (LTXB), which he thinks has been unfairly punished due to the turmoil in the oil market. So the rebound in housing should be a good thing for other beaten down banks. And If the Federal Reserve raises interest rates sooner rather than later as it is now indicating it might do, that could also push some prospective homebuyers to act more quickly before mortgage rates climb too much. In the other words, the good times for housing-related companies may not be over just yet.